Asia Pacific Senior Regional Marketing Director for Kimberly-Clark International. After attending Stream for the second time, I was reminded of why it is so important to have friends and partners in this business. We live in a dynamic, digital world, where ideas can and do come from anywhere. Marketers need to be connected to other people, inside their business and outside their business, to hear a greater diversity of thought and create meaningful connections. 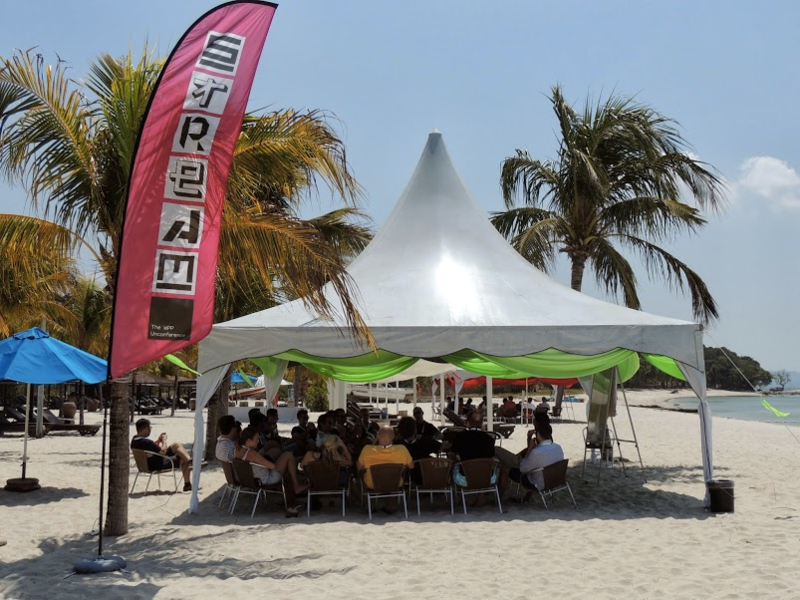 Stream's un-conference format (participant-driven, not sponsorship-driven) delivers. There is nowhere to hide; here, you must participate, or risk being called out or never invited again! Discussions are crowd-sourced so participants are free to join whatever strikes their fancy. The hard part is getting enough courage to lead a discussion, signaling you're ready to take on your peers by writing your topic on the big 'white board'. The discussions are fluid and unscripted, and cover a variety of topics, including advertising, agencies, media and digital. If a talk shop isn't your thing, there are other ways to participate - the Pitch (joining a team to propose a solution to a particular issue), Midnight Madness (a competitive cooking event (our team was a partnership of clients and agencies which garnered a win this year with a trio of salmon! ), and Ignite Talks (your topic of choice in 15 slides, with the slides auto advancing every 15 seconds) to name a few. With so many diverse approaches and thoughts, a stream of consciousness of new ideas and connections occurs. This is where it pays to 'go into business with friends'. The world today sees everyone constantly connected - to email, to news and on social media. In this rapidly changing, mobile world, marketers need to be digital in their thinking, their creativity, their measurements. This year I co-led a few discussions. In one discussion we asked "How Many Friends, Followers and Connections does a brand REALLY need??" We had a great discussion with influential brands, including Kimberly Clark, Guinness, J&J, iProperty, with platform partners such as Facebook and with agencies like XMAsia, Grey, JWT and Ogilvy. We did not of course reach a consensus (that wasn't the point), but my own takeaway was that a brand doesn't need to be everywhere; rather a brand needs to be in the right places, authentically. To achieve that, we need to understand the consumer journey in a digital world, and need to do that with perhaps more partners at the table. I believe the brand must be a part of and indeed lead collective conversations with all parties, to create better ideas and solutions. So the worst thing that happened to me on that isolated beach was nodding off by the bonfire, before a last and too long visit to the poolside bar. But the conversations about what we as brands, as people, as creatives and managers are doing in this fast changing, fast-paced digital world continued. 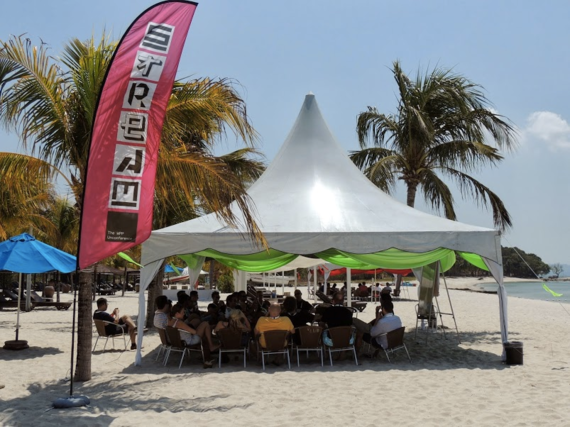 Poolside or beachside, coffee or cognac, Stream keeps the ideas and the innovation flowing.